Temple Run 2: After launching the follow up in its popular Temple Run series late last week, developer Imangi Studios announced today Temple Run 2 hit over 20 million downloads in just four days on the App Store. The game rocketed to #1 Free App just eight hours after release, and is currently the #3 Top Grossing App. Free to download, Temple Run 2 is the sequel to the mega-hit original endless runner, Temple Run, which has been download over 170 million times across the App Store, Google Play and the Amazon Marketplace. Cubase iC Pro: Released on the App Store today, Steinberg Media have launched “The most advanced Cubase remote control app” for controlling Cubase 7/6.5 from your iPhone or iPad. The app syncs with Cubase on your Mac or PC, provides a project overview, a mixer with up to a 4 independent cue-mix, and the ability to customize macros and key commands. 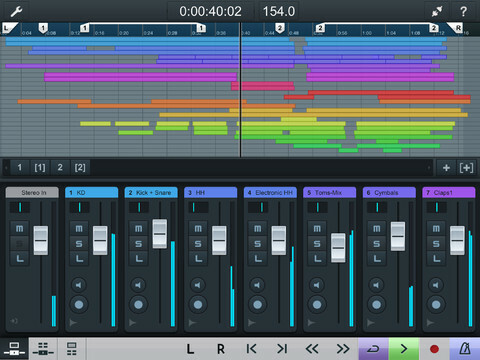 Connecting deeper to Cubase than any other app, Cubase iC Pro is the most advanced Cubase control app with a clear focus on recording, making it your very personal recording assistant. The project overview page and the mixer allow you to see your project as you know it from Cubase, while the key command page gives you a powerful tool to set up your most-used keyboard shortcuts and macros.